When many people think about window film and frosting they think of bland office partitions or a frosted window in a bathroom or beside a front door. But frosted window film has come a long way and is now used to create beautiful or bold design elements in residential projects, offices and other commercial settings. Not only does frosted window film solve the problem of privacy, without losing the light that makes a space inviting and usable, it is a fraction of the cost of installing frosted glass. Window film is also non permanent and can be easily removed at the end of a tenancy or to change a design. While window film has cost and versatility advantages, it should not be underestimated for the contribution it can make as a design element. When used well, window film can significantly improve the look and feeling of a space. In addition to being applied to windows, it can be used on glass table tops and lit from behind, or underneath, on internal glass features, for impact, or to create a mood. Increasingly research shows that office spaces have an impact on the happiness and productivity of the people who work in them. Some of the elements that contribute to a positive work environment include choice of lighting, maximising natural light and open space, and incorporating plants and views of nature. While many office designs are open plan, privacy is also necessary and not all offices are lucky enough to be able to have views of nature. That’s where decorative window film can provide the solution. Window film can be cut to any design imaginable. Naturalistic designs of trees, flowers or mountains can be used, where the real thing isn’t available. Frosted film applied to windows can also allow glimpses of the natural world outside, where full exposure would compromise the privacy of workers inside. Frosted window film can be applied to more than just external windows. Depending upon budget, internal glass petitions, table tops, board rooms and meeting rooms can use a combination of glass and frosted film to create eye catching features. With imaginative design, window film can turn bland, clinical spaces into interesting, uplifting, sociable places for people to work. 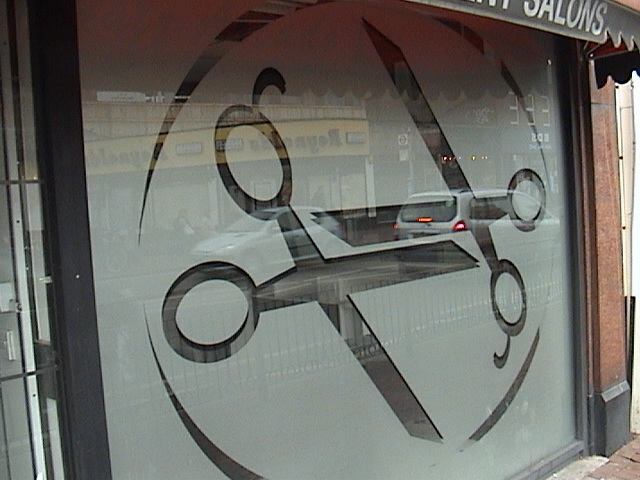 Example of creative frosted window film at a salon in Melbourne. From Apply To Glass. Making the decision to use window film is easy. The more difficult task comes when deciding how to choose a design. Decisions need to be made about whether to use simple white or grey frosting or to incorporate colour. And then there are decisions for larger spaces, where clients require something bold for maximum impact. Design does not have to be complicated. Like all projects, the key to designing with window film is to relate it to the overall design of the space. While clients can choose from a large number of pre cut designs, they can also develop their own window film design with the assistance of an experienced frosted film expert or a graphic designer. Consider the impact you would like the space to have on the people who enter it. Consider the purpose of the space, the image or ‘brand’ of the development or business, and the overall colours. Consider if you would like the area to tell a story or entertain. Window film design ideas can come from looking around the space you live or work in and choosing a repeating motif. Designs ideas can come from anywhere. At present, Scandinavian design is popular and many simple repeating patterns from the 1950s and 1960s. For more traditional designs, that work with children or more feminine environments, think butterflies or flowers, traditional lace designs, or vertical tree stems, like bamboo or grass. While there is no end to the number of patterns that can be applied to window film, it would be a mistake to ignore the design potential and elegance of using window film without any decorative elements. In the right context, a design can be distracting and for interiors that are pared-back and simple, nothing quite beats a wall of glass and simple frosting in white or a single colour. 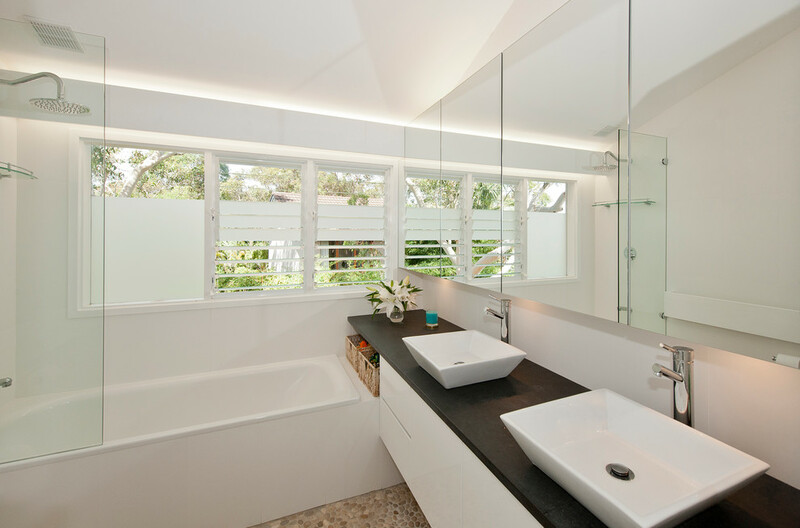 As an example, recent minimalist shower designs use one or more external windows as the shower wall/s. Where privacy is not possible, frosting is applied to all or part of the window. The effect is to allow a light filled space, complete privacy and an elegant, modern design. Simple frosted film used in a bathroom to provide screening and views, can look elegant and modern. 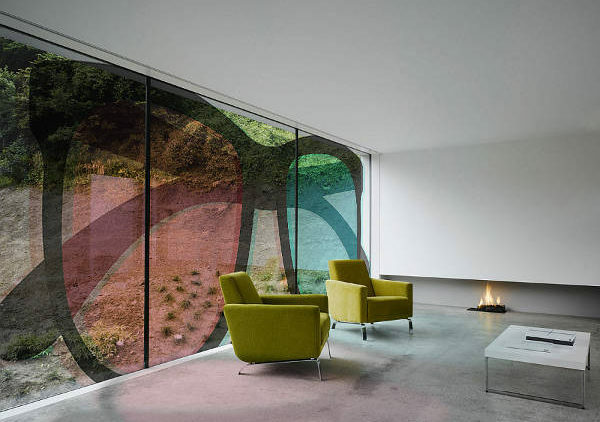 Apply To Glass are specialists in decorative window film design and installation, with over twenty years experience. We install frosted window film and work with interior designers, architects and builders across Melbourne on large and smaller projects.